Hey Extreme Users! Extreme Connect 2018 is just around the corner and we are gearing up to bring you our technology-packed Solutions Demo Hall. 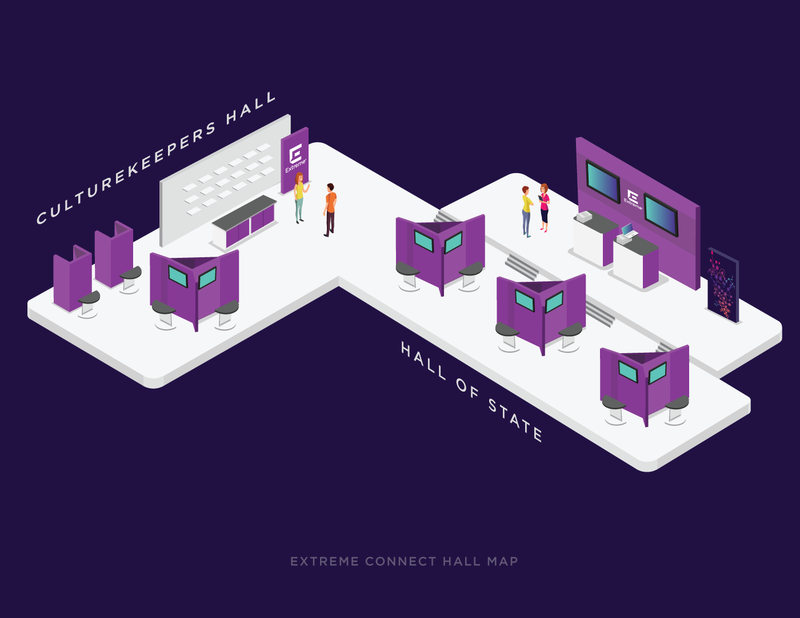 Staffed by Extreme solution experts, the Solutions Demo Hall will be open all week long and will be located right off the main registration area in the Hall of State and the Culture Keepers Hall West. I’ll be getting into what each area includes and why you’ll want to be sure to visit in just a bit, but first I want to highlight a not-to-be-missed event, Wednesday’s Evening Reception, the Solutions Demo Showcase, on April 18th from 6:30-9:30 pm. What Is Happening During the Solutions Demo Showcase and Why is It Different from the Solutions Demo Hall? The Solutions Demo Showcase will feature an open bar, giveaways, games, demos, the opportunity to meet with Extreme experts, and it’s the only time where the Fabric Connect Hack-A-Thon is taking place! This is the evening reception on Wednesday, April 18th from 6:30-9:30 pm in the Solutions Demo Hall. What Will You Find in the Solutions Demo Hall? Services & Training and Certifications Pod: Speak with Sales Services and our Education team to learn more about managed services, Extreme Capital Solutions, training and certifications offerings and more. 2018 Fabric Connect Hack-A-Thon – What’s So Difficult? Why Extreme Fabric Connect? Fabric Connect provides for some very formidable boundaries for security and is based purely on Ethernet with no use of IP underlays. Think you can hack it? Everyone is welcome to try, but if you don’t feel that you have the skills, stop by anyway to see a demonstration or to watch and learn. If you do think you’re up for the challenge, be sure to watch this video first. Reviewing the rules of the contest and most importantly how to claim the $10,000 grand prize! This is the only time that the challenge will take place during Extreme Connect, so stop by the Hack-A-Thon/Campus pod during the Solutions Demo Showcase Evening Reception and sign up to participate!